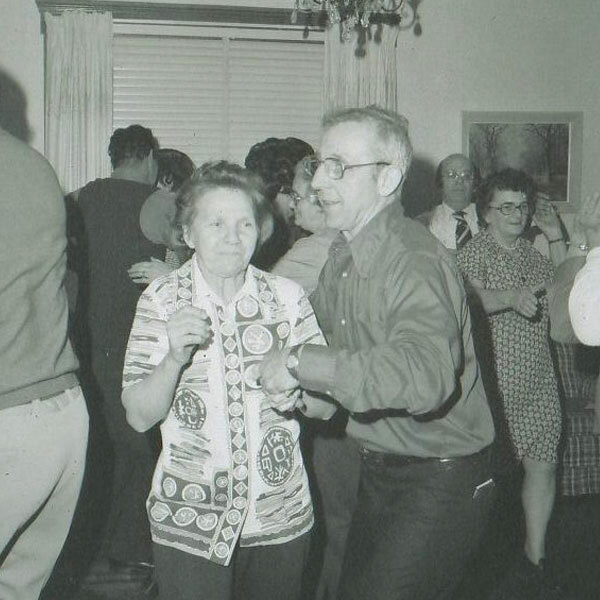 Many Acadians have fond memories of “legendary” house parties in their communities at which social dancing was a common occurrence. The kitchen was a space for family, relatives, and neighbours to meet. Most often, these parties took place on special occasions, such as weddings, Shrovetide (at Mardi Gras), and other special occasions, with dancing that would start after supper and often last until dawn. Kitchens teamed with as many dancing couples as the space could hold, with a local fiddler or mouth organ player providing the music. The merry-makers would only go home as dawn was breaking. Sometimes people would catch a few house sleep before the dancing was renewed on Tuesday afternoon. Quite often they would not sleep at all and get a few hours work done before everyone gathered together again. You can read the full article about Acadian Mardi Gras here. 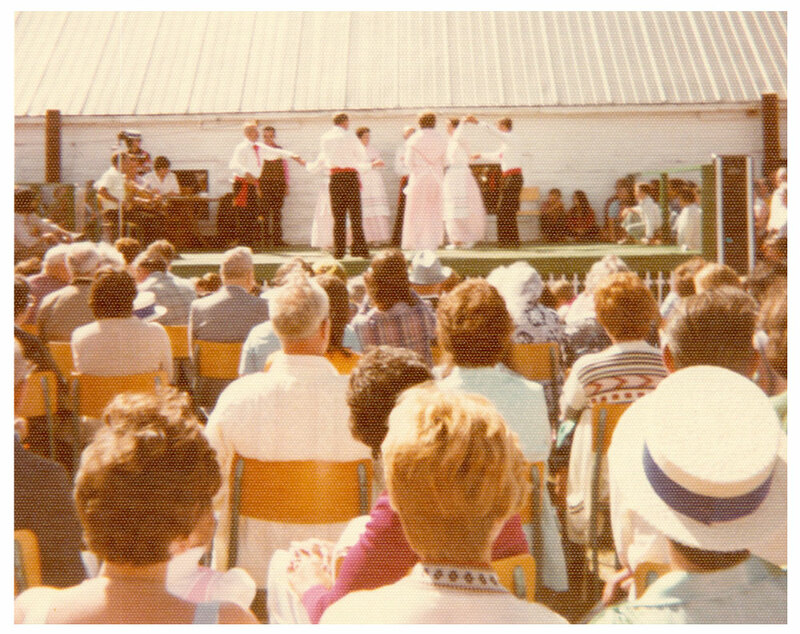 Square dancing was also done at parish picnics and festivals. Picnics were often organized as fundraisers to build new community buildings. They usually consisted of a communal meal, games for adults and children, a craft fair, band music, and traditional music and dancing. 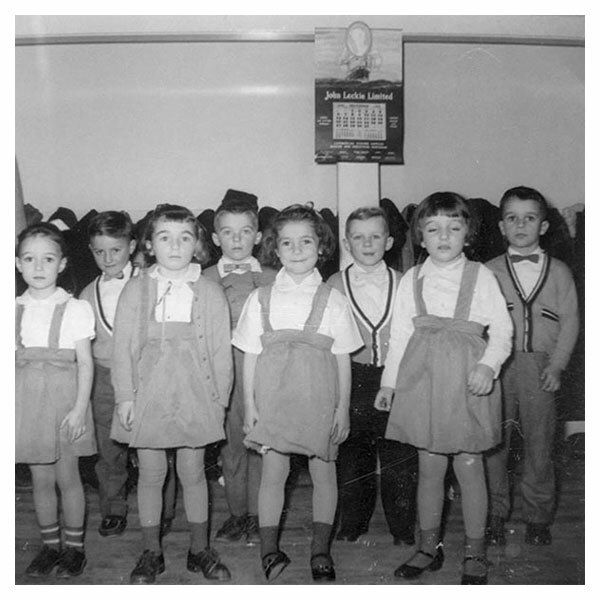 Grade one and two students at Abram-Village school getting ready to do a square dance at the 1959 Christmas concert. 1st row: Judy Savage, Gloria ( à Edgar) Gallant, Lydia (à Cyril) Arsenault, Lise (à Phil) Arsenault. 2nd row: Jacques (à Arthur) Arsenault, Léonce (à Edgar) Gallant, Eldon (à Léo) Gallant, Éric (à Ida) Gallant. Photo taken by teacher Marie Maddix (Coll. Georges Arsenault). Founded in 1974, the Club Ti-Pa was a French social and cultural organization (and co-operative) that served the Tignish-Palmer Road area, with the goal to preserve and promote Acadian culture in the region. 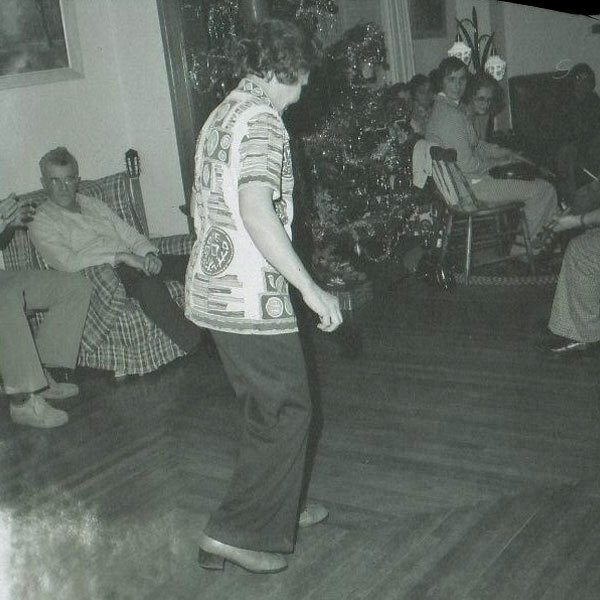 In 1975, the Club initiated a number of cultural projects, including a set dancing group and step dancing lessons. The dance group – les danseurs du Club Ti-Pa – performed traditional Acadian dances in a variety of venues across the island, such as parish halls, schools, festivals, and auditoriums. Dancers from le Club Ti-Pa perform at the Festival acadien de la région Évangéline, ca. 1980. Coll. Georges Arsenault. 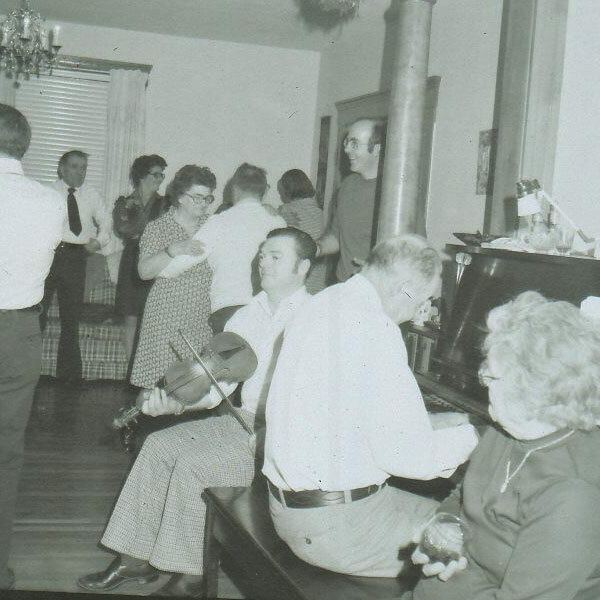 The Club 50 in Abram-Village was a popular social club that featured some traditional set dancing. 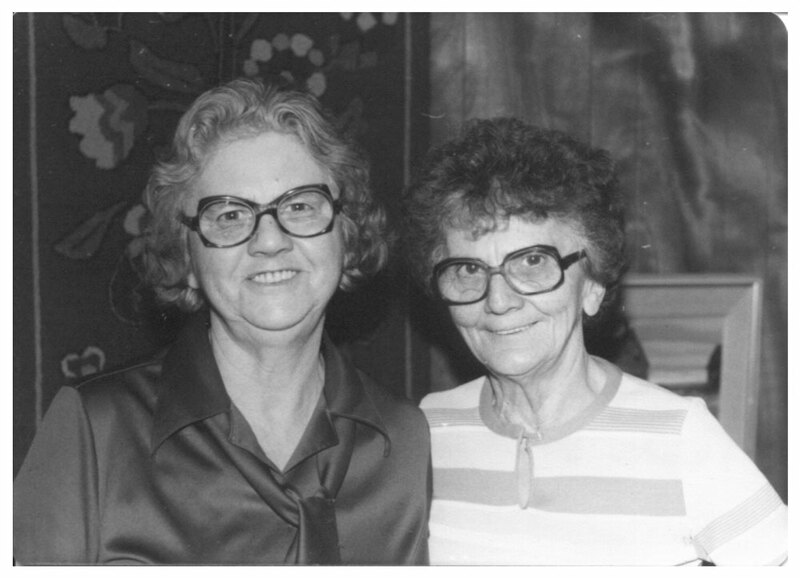 Amand Arsenault recalls that the Club held dances every Saturday night with live music, as did the French Club in Summerside and other community halls where people gathered for set dancing and waltzes. There was a marked decrease in set dancing by the mid-1950s. 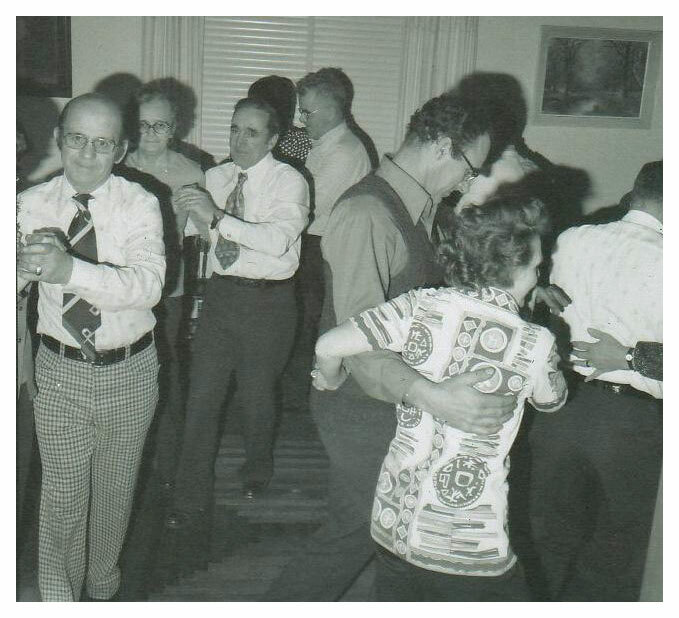 This was especially the case for dances that took place in houses, as social dancing moved increasingly into public venues where the traditional sets were gradually replaced by other forms of social dancing, such as “round dances,” that is, waltzes and the fox trot. In the 1950s and 1960s, the jive and other modern dances were introduce. Square dances were generally “walked,” but occasionally dancers who could step dance would do a shuffle step as they went around in a promenade figure. 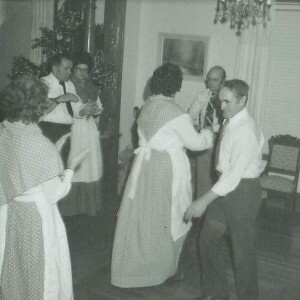 While certain square dances or figures were common, Deacon Cyrus Gallant recalled occasions in which dancers put new “twists” on old favourites. For example, he described a particular house party at which the women danced blindfolded around the kitchen stove – several in high, spiked heeled shoes no less – and their male partners would try to trick them by switching partners. 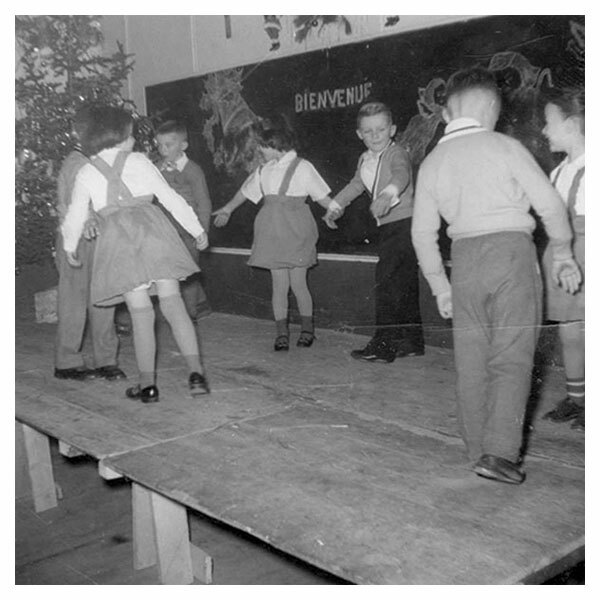 On July 13, 1958, Québécois folklorist Simonne Voyer (1913-2013) documented a quadrille danced at a house party hosted by Mr. Amédée Arsenault of St-Chrysostome. The musicians recruited for the party were fiddler Eddy Arsenault, age 37, accompanied by his brother, Amand Arsenault, age 30, on guitar. She later published this quadrille as the “Quadrille de l’Île-de-Prince-Édouard” in her 1958 book, La danse traditionnelle dans l’est du Canada: quadrilles et cotillons. The quadrille, in the form of a carré simple, was danced by four couples and comprised three parts, of which only the title of the third part was known by the dancers. Read more about the life and work of Simonne Voyer here. In 1974, Acadian historian and folklorist Georges Arsenault documented four dances from the repertoire of Augustin Gallant (1905-1979) of Cap-Egmont in the parish of Mont-Carmel, P.E.I. Augustin was a well known dance caller in the area. The first of these was known by the name “La borbis,” while the other three were identified by key figures, such as “Four hands around” and “Advance and leave your lady.” The first dance, “La borbis,” was subsequently choreographed for the troupe Les Danseurs Evangéline. Members of the Club Ti-Pa dance a promenade figure at a house party in Saint-Louis, 1974 or 1975. Aldine Arsenault (Perry) and Lorette Fennessey, 1980. For many years, square dancing was looked down upon by clergy, and some parish priests prohibited dancing that involved bodily contact. Step dancing was tolerated because it was solo dancing, even on Sundays when square dancing was forbidden (Arsenault, 1998). 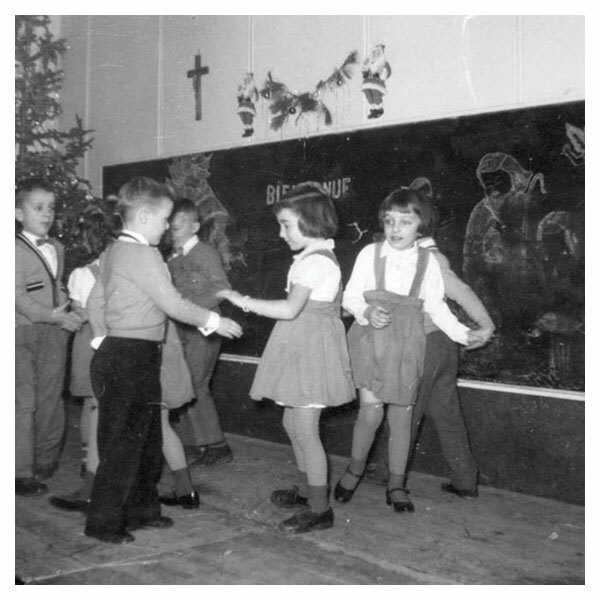 Oral history in the region suggests that the practice of seated foot-tapping (podorhythmie) emerged in response to restrictions imposed on music-making and dance by the Catholic Church (Forsyth 2011, 80-83; Ouellette 2005, 33), however, as Father Gallant’s memoirs suggest, there is little historical evidence to suggest that this was the case in the Acadian communities. It is more likely that the practice came about due to a lack of accompaniment instruments, such as the pump organ, piano, or guitar, and through increased exposure to a similar practice in Québécois traditional music. Nevertheless, stories about the prohibition of dance abound. One older musician recalled a story he had been told about a priest who would walk past houses and peek in the windows to ensure that the imposed decorum was being upheld and that a tradition of seated foot-tapping accompaniment developed as a way of masking percussive accompaniment to singing and mouth music. Similarly, a young musician told an account of her great-grandfather whose instruments were confiscated in New Brunswick, and so he would tap his feet to create music so that no one would see them.